Last weekend we dropped over to the Berry Markets. It was raining. We did not mind but the stall holders were Not Thrilled and many had packed up and gone home. On the way back to find lunch this wall of flowers caught my attention. How pretty! We ended up at Il Locale for some sourdough toast with Smashed Avo plus Tomato & Fetta. 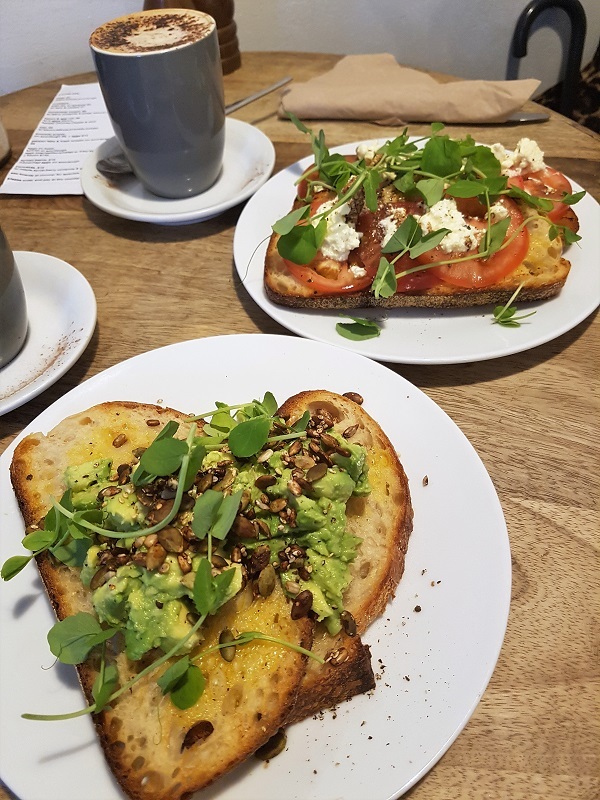 Smashed Avo is practically an Australian tradition now, if you ever visit you must have it in a cafe somewhere. Plus one of the best coffees I have had in a while. 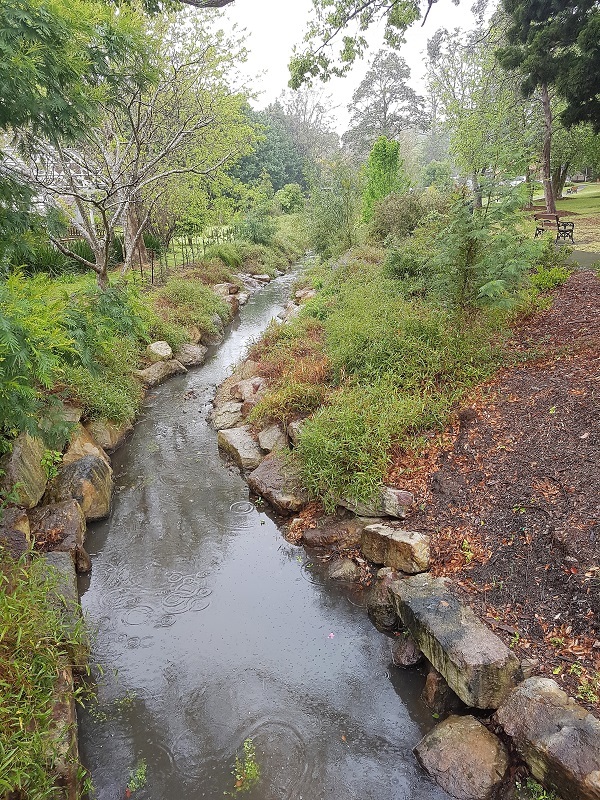 We had a lovely day out, and this area – most of Australia, in fact, at this time – desperately needs the rain so when the sky opens up one must simply rejoice in the water falling from the sky, not begrudge it for even one second.. Right next door to The Treat Factory, you will now find The Milk Bar. They have some indoor seating and a lovely covered outdoor deck area. 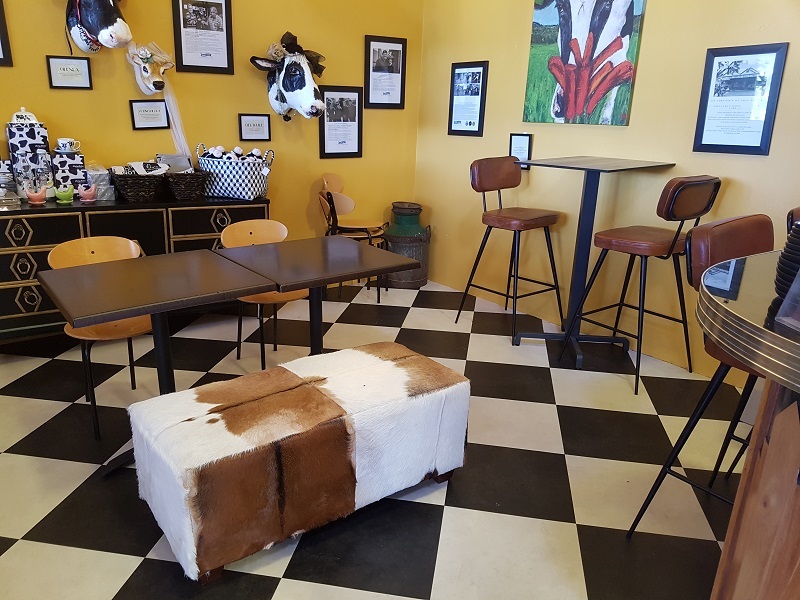 You can sit and watch the cows in the fields opposite, and those cows provide the milk for the gelato, there was also some limited seating inside. 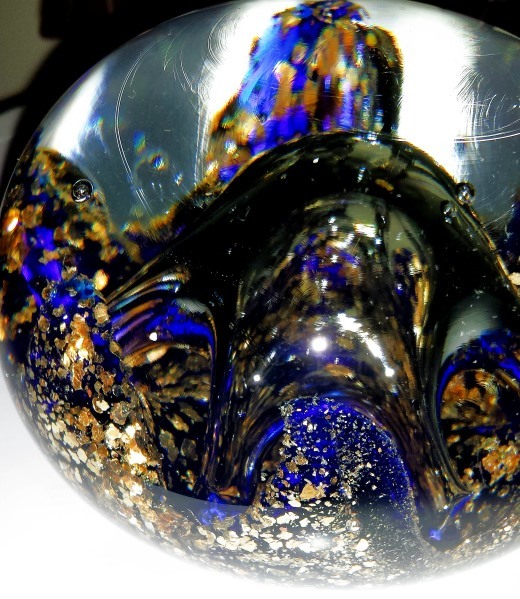 The staff are incredibly helpful and friendly, the place looks great. The house made gelato is pretty amazing, and the milkshakes and thickshakes use it. 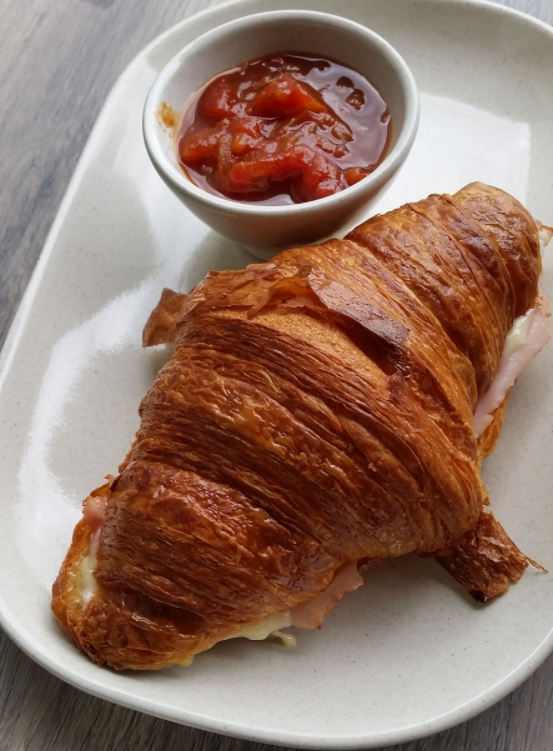 On our first visit, we chose the ham and cheese croissant with tomato relish for an early lunch – and you can buy the relish right next door at the treat factory, it is delicious. They have a lot of options cake wise, plus other food options. Of course at a milk bar you want to get a milkshake. 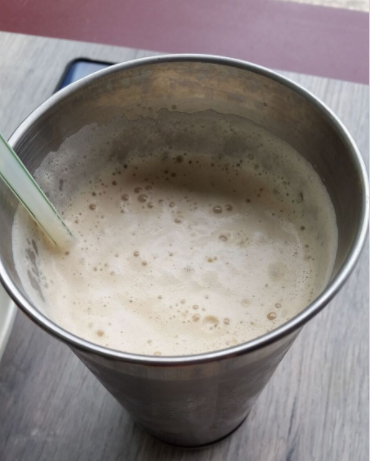 They do normal milkshakes, thick shakes, and those scary massive treat shakes which everyone loves to instagram. Most of them involve the gelato made right on site. We added coffee gelato to the chocolate thick shake, it was so delicious I grabbed a scoop of that gelato to eat on the way home, because I could. 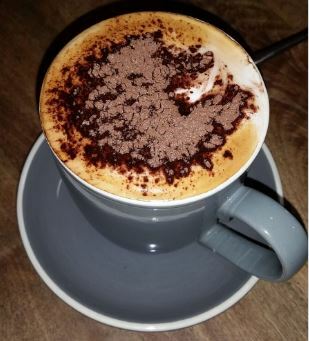 We love the new milk bar addition and we will definitely go back to try more of the menu and experiment with some of the thick shakes, because they have some set flavours but you can ask them to put in any flavour of gelato you want. Hidden out the back of Berry is a rather fabulous place called The Treat Factory. I only discovered it thanks to a local Facebook group where someone was looking for some pickling salt, and another member suggested to look in the downstairs area of the Berry Treat Factory. That’s funny, I thought. I did not know they had a downstairs area. 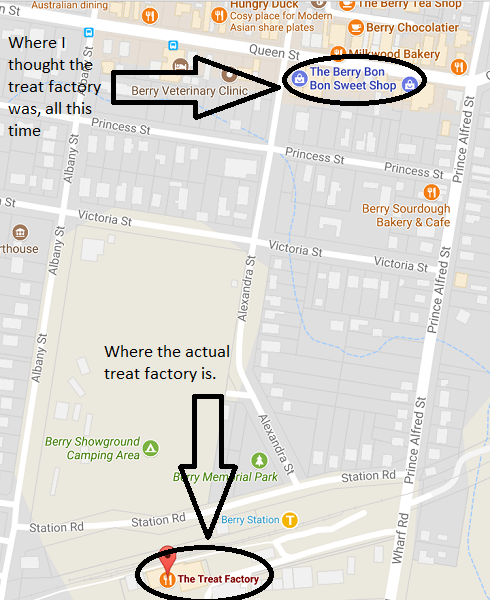 It turned out after over 10 years of living here I had never been to the REAL Berry Treat Factory which is way off the main street and hidden away behind the train station, at the very back of some commercial units. So on a weekend not long afterwards, we made the trek to the Treat Factory and discovered so much awesomeness. Above you see their famed downstairs area. 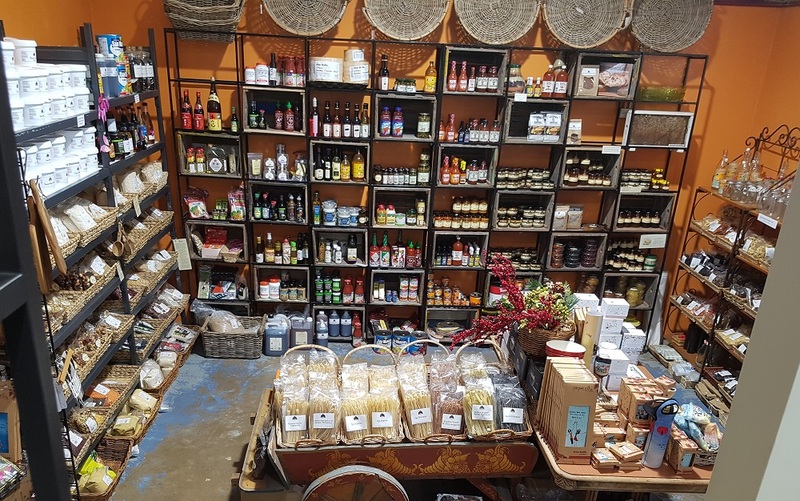 You can find all kinds of magical things here, everything from actual Australian dried apricots to hot sauce. We have been back several times to buy many of their made-on-site goods, which can also be found at the Berry Markets where they often have a stall and in various shops. 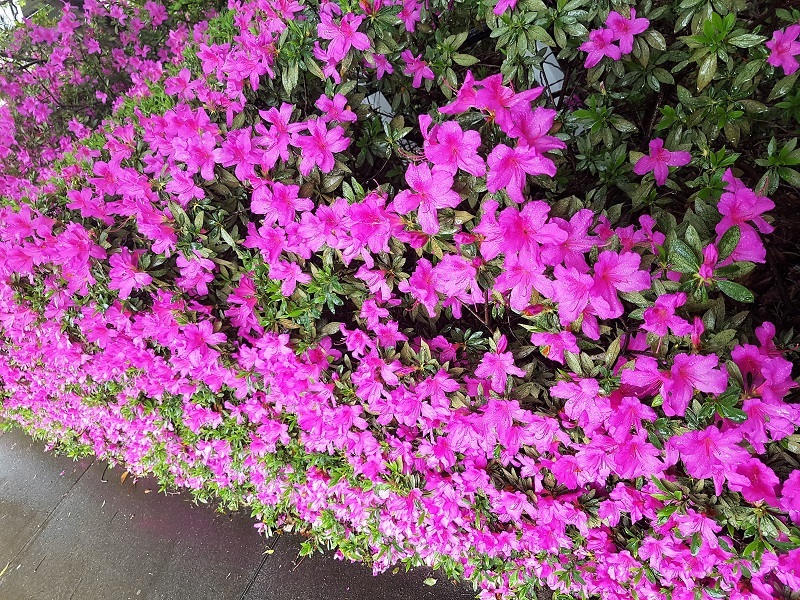 I took some photos to share with you. 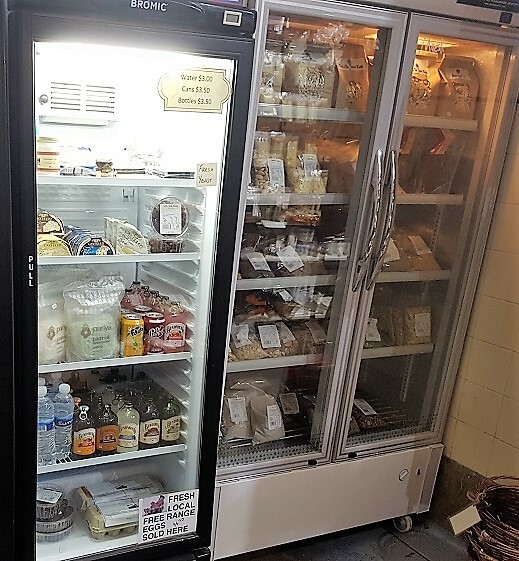 They have gluten free and regular pastry in rolls and blocks, frozen pasta, cheeses, free range eggs, muesli.. 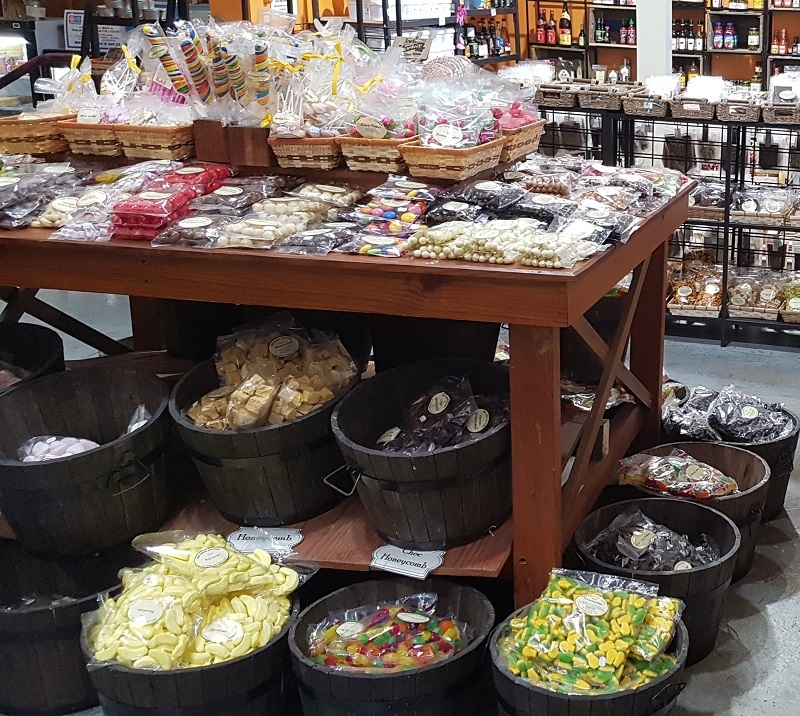 The treat factory has all kinds of goodies for sale, including lots of chocolate covered nuts and chocolate treats, many of which would make great gifts to take home for friends and family. 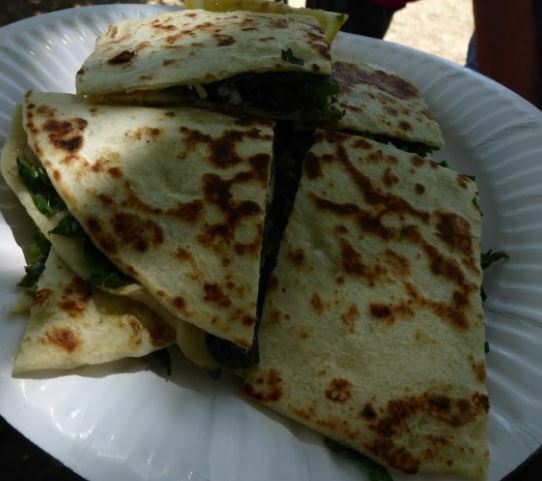 They also have some samples of the things for sale that you can try. They have local honey, too. 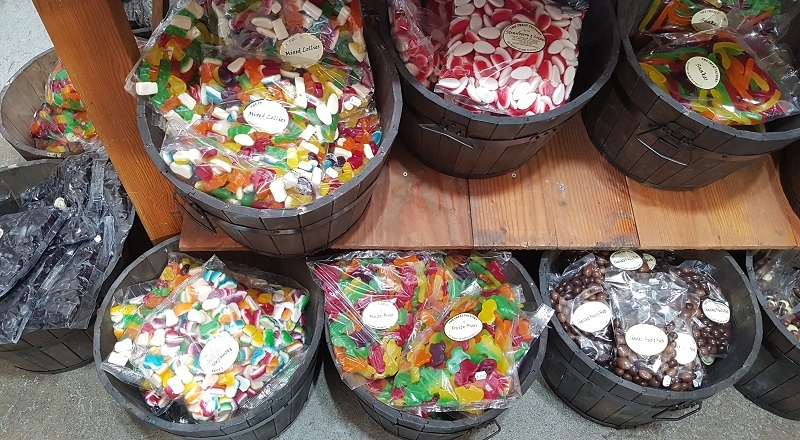 The large bags of lollies are excellent value in my opinion at just $9.50. They are super huge! 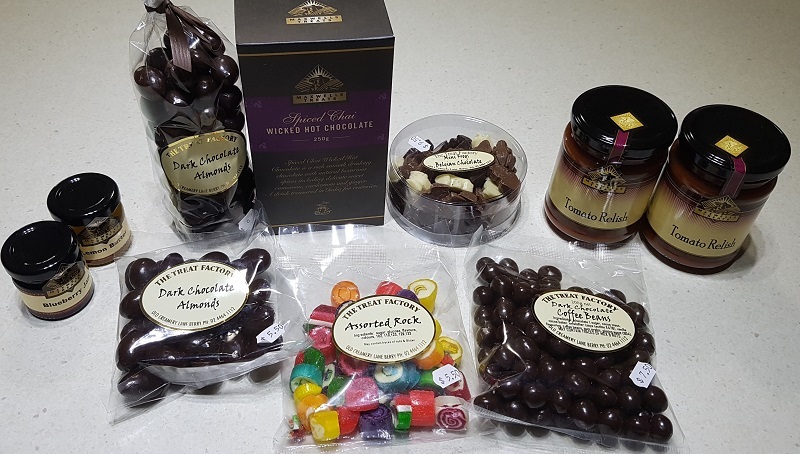 On this trip we bought tomato relish, dark chocolate coffee beans, belgian chocolate mini frogs, a large bag of dark chocolate almonds and the wicked hot chocolate chai flavour for me, a small bag of the almonds plus some rock and jams for a gift for someone else. Thanks to a different Facebook group, I found out they had opened a milk bar with gelato made on site right next door to The Treat Factory, we have now been there twice and I will post about that on Wednesday. 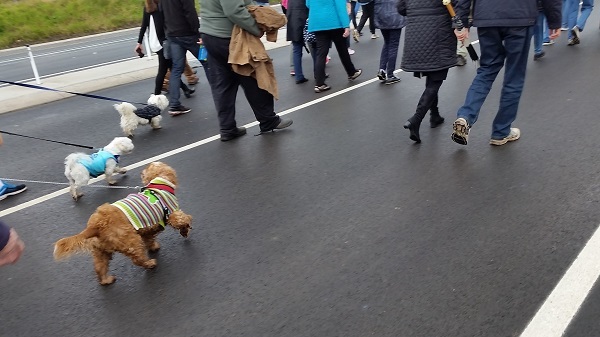 We went for a lovely walk with about 6,000 other people and quite a few doggies. 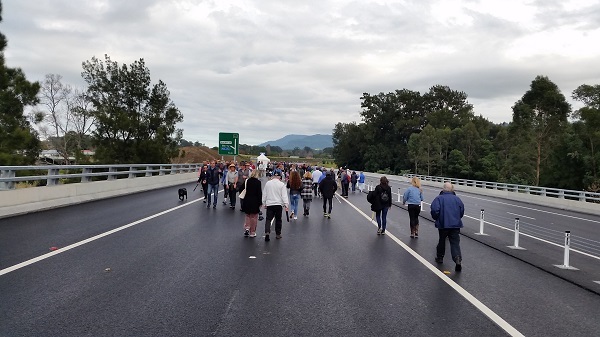 Everyone went at their own pace, there was no rush and thankfully it did not rain, though you can see the people of Berry were well prepared in case it did. We also were carrying an umbrella. 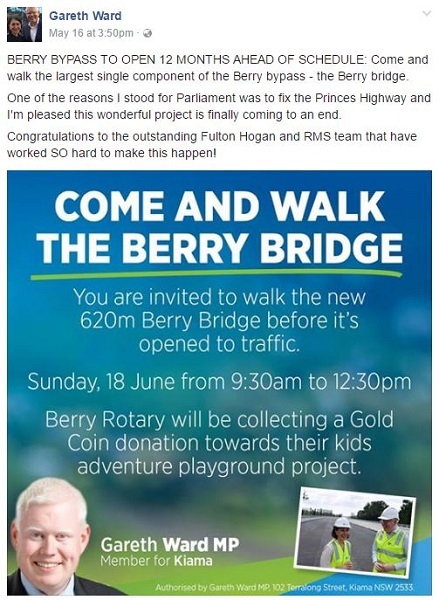 The local politician put on a sausage sizzle for gold coin donations. There are not many towns where the free sausage sizzle would offer vegan sausages and gluten free bread. Water and sunscreen were also available for free. and there were port-a-loos available too. It was very cold so layers and beanies were the big trend of the day. There was a free shuttle bus service which we had taken over to the walk, but we chose to walk back to the showground as it was quite a lovely day and we had enjoyed our walk thus far, and the sun chose to make an appearance. 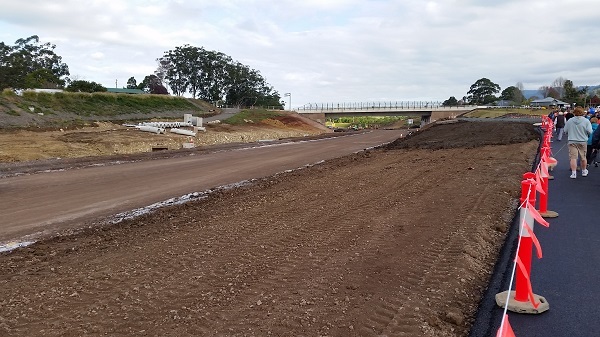 The last part of the bypass is still being worked on. They are estimating mid-July for this part to be completed. 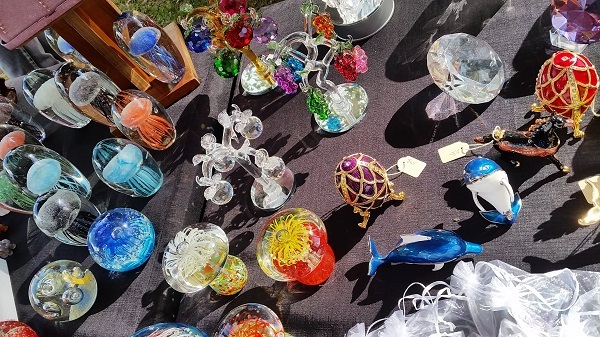 The Berry Markets are on this Sunday and it looks like the weather might be beautiful though slightly chilly. This might be the last ever markets where the highway is still running through the town, if the bypass really does open in July. If you are going, BYO tote bag to put your purchases in! 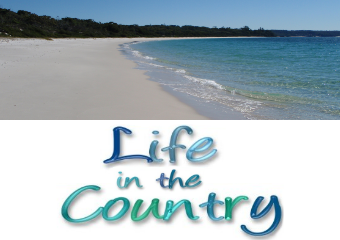 There are exciting times ahead for the little town of Berry on the South Coast of NSW. The Princes Highway has run right through the centre of town for over a hundred years now, making this section of the highway a slow and tiresome part of the journey to the South Coast and making life dangerous for the tourists who visit and cross the highway without a pedestrian crossing or set of traffic lights. 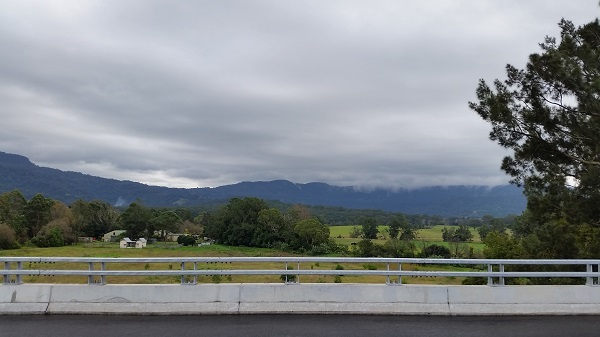 Soon, the Berry Bypass will open which will remove much of the passing traffic – a lot of that being large trucks – from the heart of this gorgeous town, leaving the traffic of those who actually want to visit Berry. 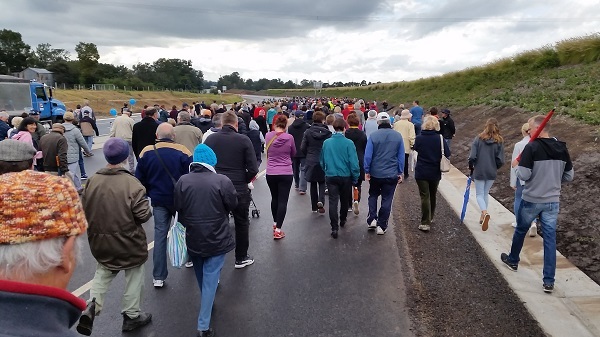 This coming Sunday people will have the opportunity to walk the new bridge. 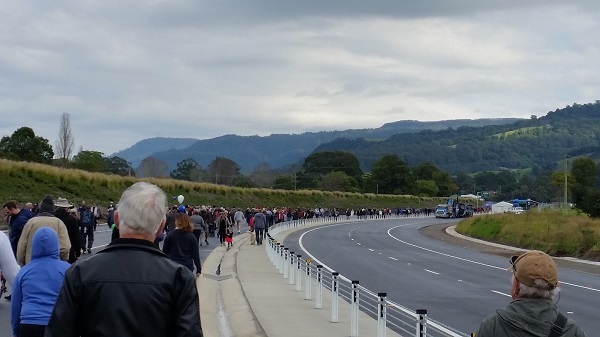 You could catch the train down from Sydney if you wanted to do this walk – there will be a shuttle bus taking people from the station to the new bridge. 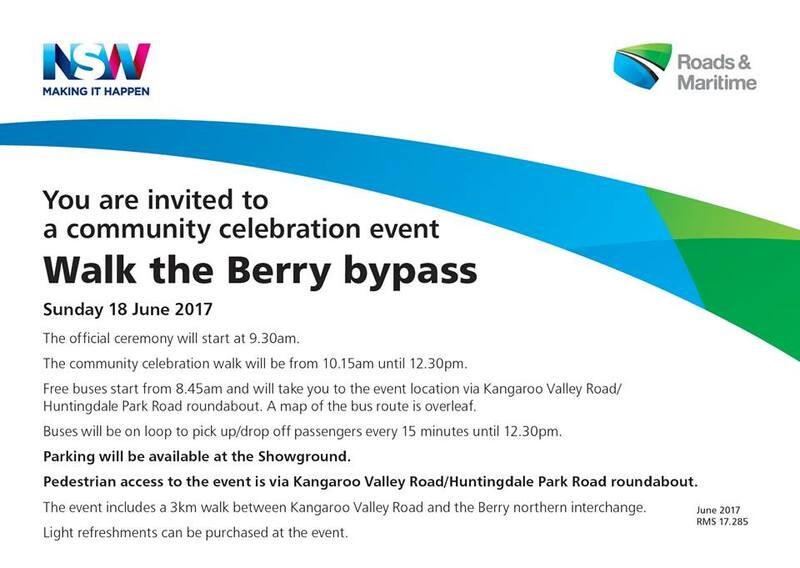 The new bypass might not make a great deal of difference to the busy-ness of Berry on the first Sunday of each month, though – with the one exception of February. 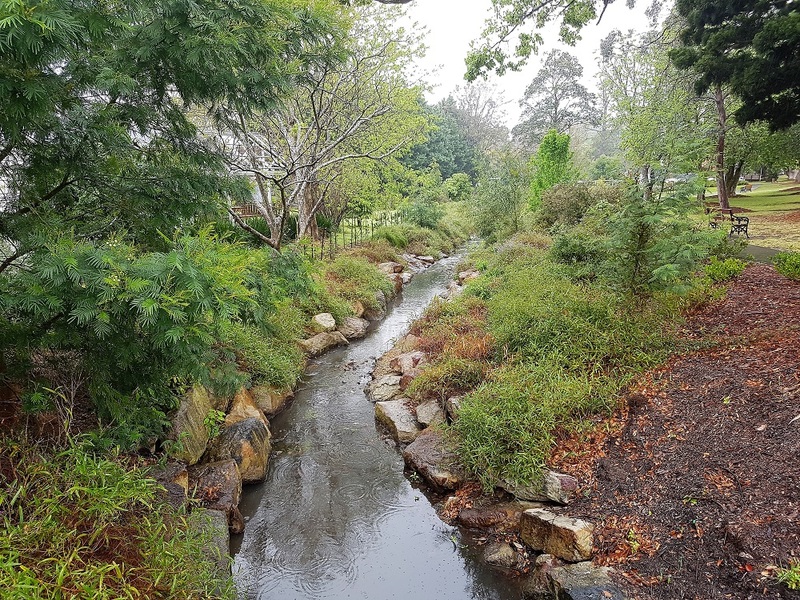 The Berry Markets are held at the Berry Showgrounds that day – depending on weather, they are sometimes cancelled if it is too wet underfoot – which is just a short walk from the main street and also a short walk from the train station which makes it easy for people to visit from Sydney. If the weather is good you can expect many people to descend, all decked out in their Berry appropriate outfits. You may see a lot of dogs. 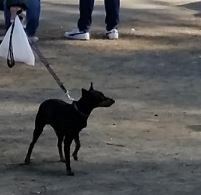 You know that saying every man and his dog was there, this is almost true at the Berry Markets. 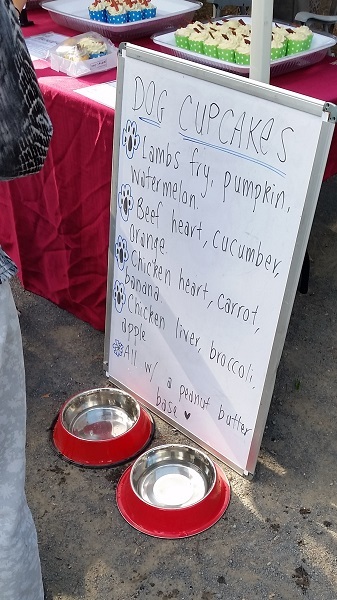 There are so many dogs, they get a cupcake stall. Sounds delicious! 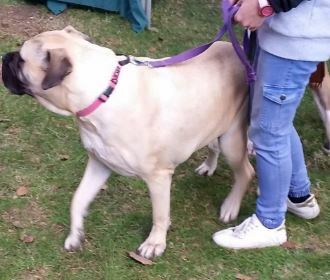 Big dogs, medium dogs, small dogs, all of them will be on the leash which I deeply appreciate. There is quite a range of things for sale at the Berry Markets. 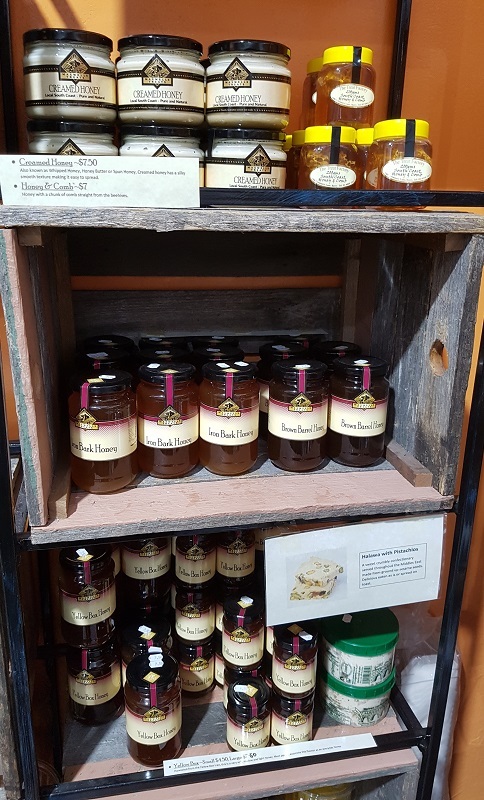 Everything from $300 real rabbit fur ponchos to plants and local produce to locally made jams and chutneys to glass paperweights. I suggest you bring a tote bag to place your purchases into. Depending on the time of year, in winter I recommend a beanie, scarf and gloves, and in summer you should bring sunscreen and a wide brimmed hat or baseball cap. 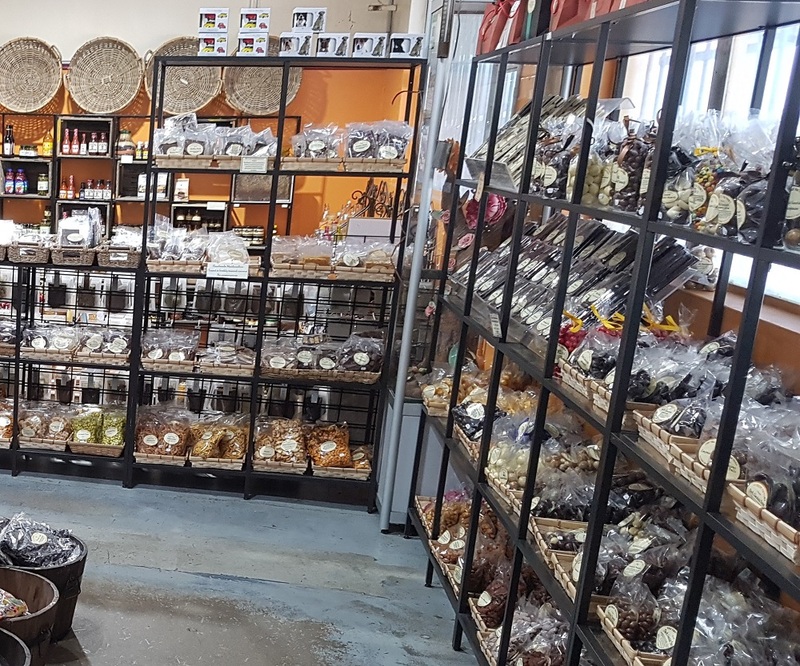 There is also quite a range of food available, from locally made sausage rolls with gorgeous relish to corn on the cob to gozleme to Shanghai dumplings. 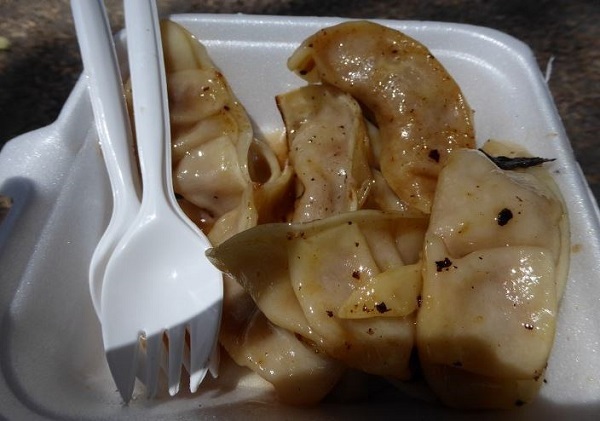 The dumplings are awesome, FYI. But as the sign says, beware the hot soup inside! 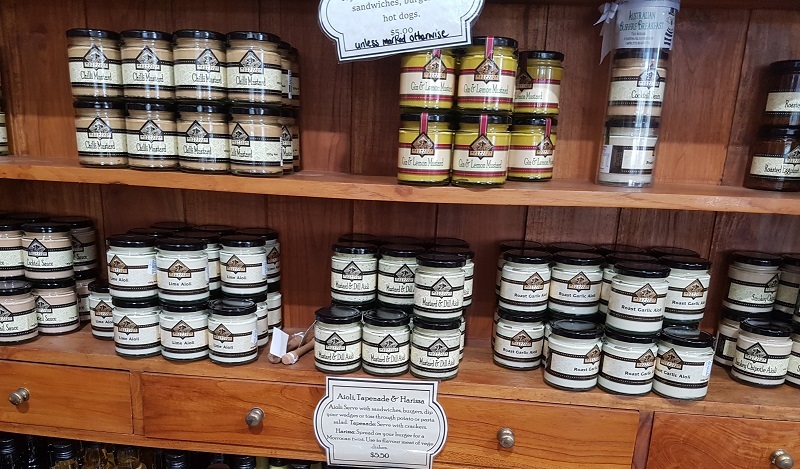 My personal must buy items from these markets are Lemon Myrtle moisturiser and Wasabi and Seaweed macadamia nuts from Batemans Bay Nut Roasting Company. But you can try all the flavours of nuts so don’t just take my word for it, pick the ones you like the best. The salt and vinegar ones are pretty awesome too. 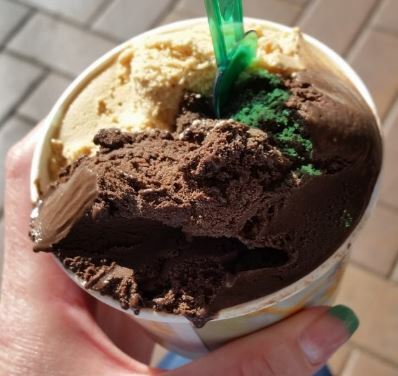 And when you are done at the markets, you can grab a gelato from Il Locale and then explore the town itself which I personally believe is one of the best shopping towns in Australia. And I have been shopping at a lot of places in Australia. 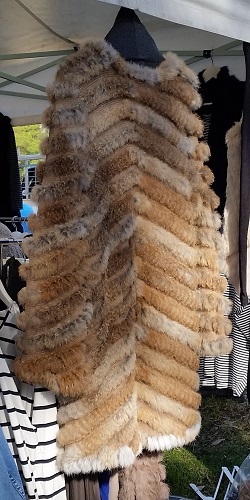 You can buy everything from coffee mugs for less than $5 right up to $400+ reindeer furs. 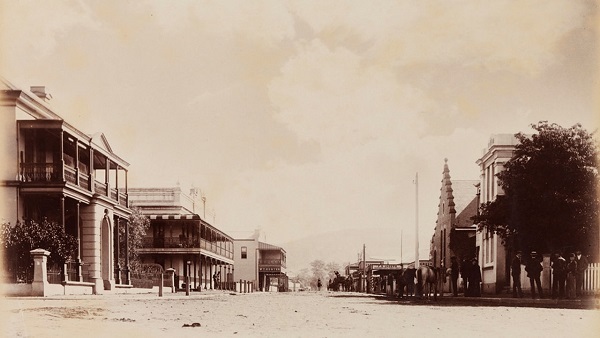 Yes that building is in the photo from 1896 – many of the buildings in that photo are still alive and well today. 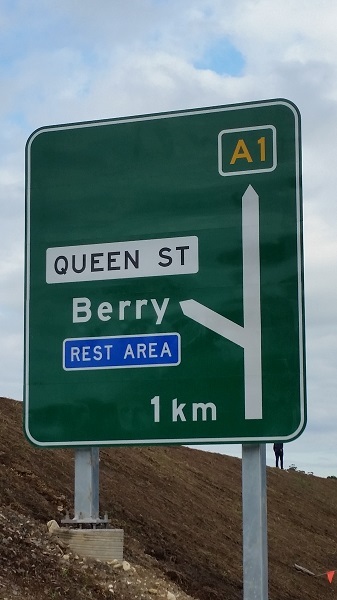 Berry might be able to get creative now with events held in the main street, something which they could not do without closing the highway in the past. I certainly hope they will and I am excited to see what will be possible once they open the bypass. I’ve had laryngitis and bronchitis this past week so I have been sticking close to home. But now The Other Half has two weeks off and this past Saturday we got out of the house. At first we were just going to the chemist and to Bunnings, a local hardware store for those of you not in Australia. But one look at the carpark of Bunnings and we decided it was a HELL NO situation. Even the chemist carpark was packed, so much so the other half chose to stay in the car. When I got back to the car we looked at each other and said what now – do we go back home? My outfit was not quite ready for that, so I suggested we head over to Berry to pick up some hand cream I have been wanting to get. 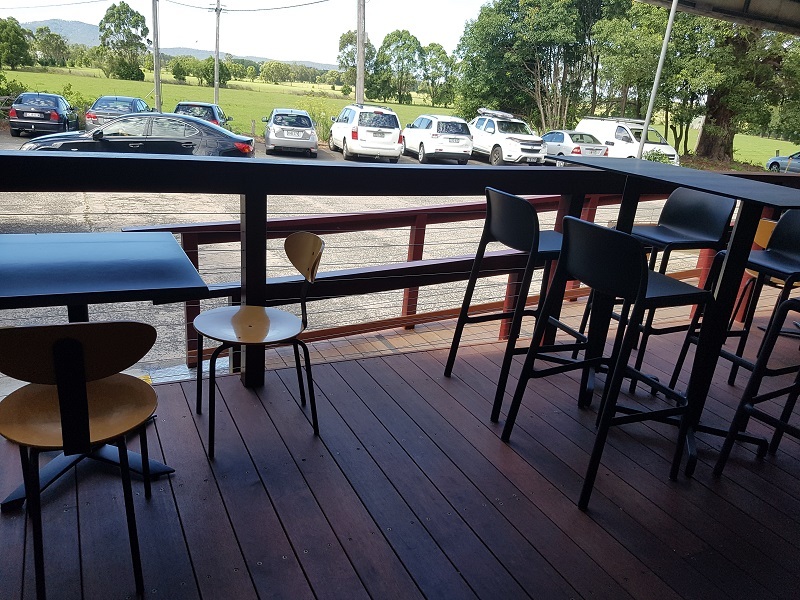 I am a member of a local food group here in the Shoalhaven – it is usually how I find all the local gems – and someone had recently posted photos of their meal from Il Locale. 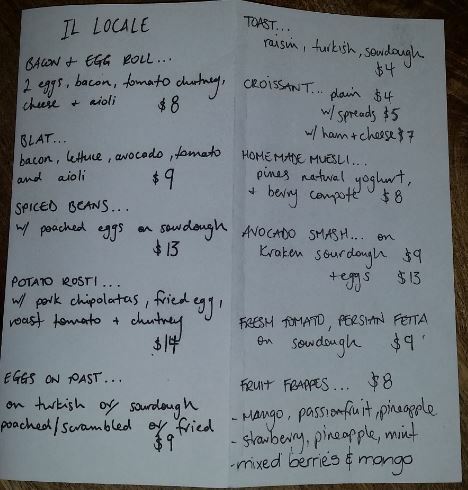 So as we were wandering about reading menus, I suggested we check out the menu at Il Locale. It turned out to be a great choice. Il Locale is best known for the amazing gelato they make on the premises. 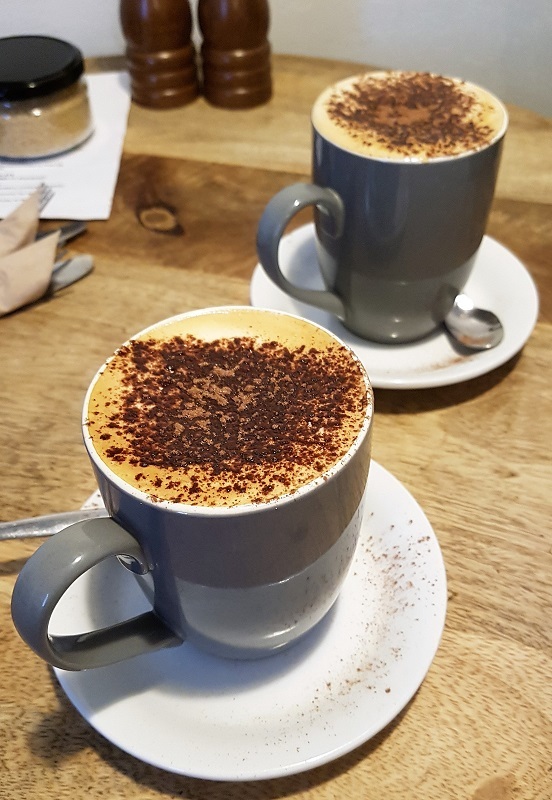 In fact strolling past you might not be aware that they do actually serve delicious food and coffee and they do it at very reasonable prices for Berry. Berry is the kind of place where a simple ham and cheese croissant could cost you more than $10. It is a bit “Up Money” on occasion. 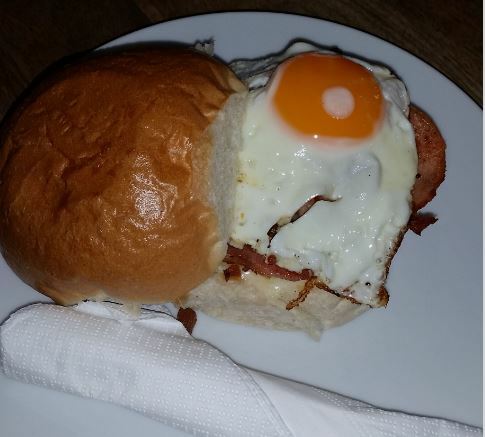 The Other Half chose his usual Egg and Bacon Roll. For $8, it was a bargain. The tomato chutney was *incredible*. It was so good I actually would have liked to buy it and take it home. I am not sure if it is for sale and they were quite busy when it was time to leave, so I couldn’t interrupt and ask. Next time. 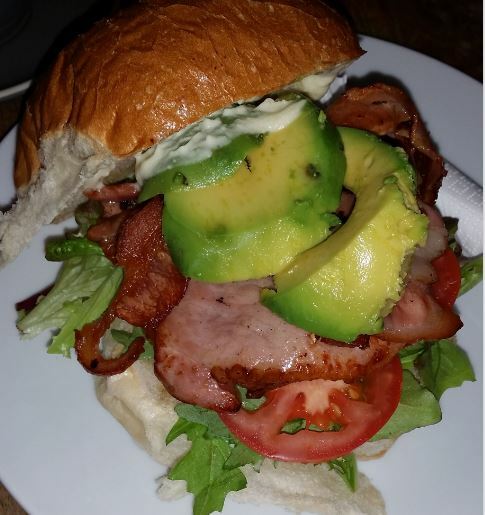 I went for the BLAT – Bacon, lettuce, avocado, tomato. It was so delicious. We also had coffee which was the perfect temperature and so, so good. 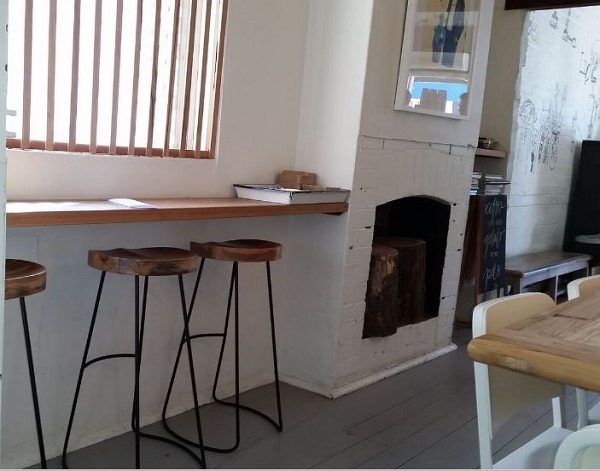 There are a couple of side rooms with tables for people to sit and eat, which you would not necessarily know from the street. They also have take away sandwiches ready to go. And sorbet and gelato. Don’t forget about the gelato! 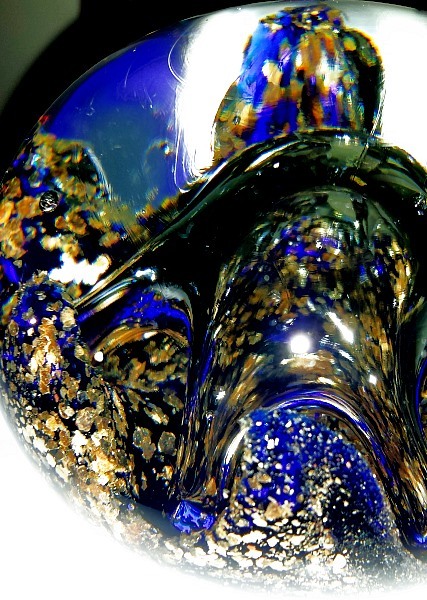 It was a nice – and rare these days – treat. We do not eat out very often since changing our diet to low sodium. We went for a stroll through our favourite shops, I got my hand cream, and by the time we were done the Bunnings carpark was suitably empty. Win win all around! Happy moments for all. 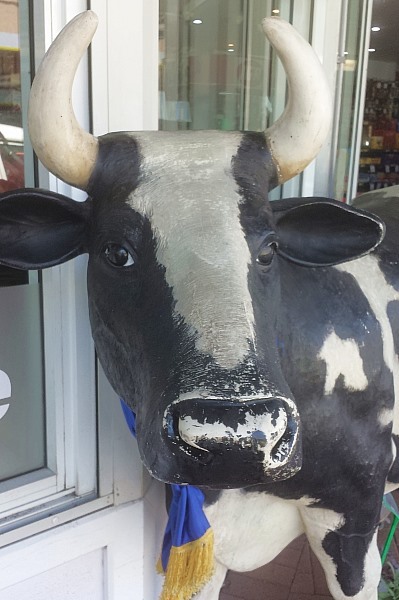 If you visit the small town of Berry on the New South Wales South Coast, you will meet this fake cow which stands outside of the Berry IGA.. 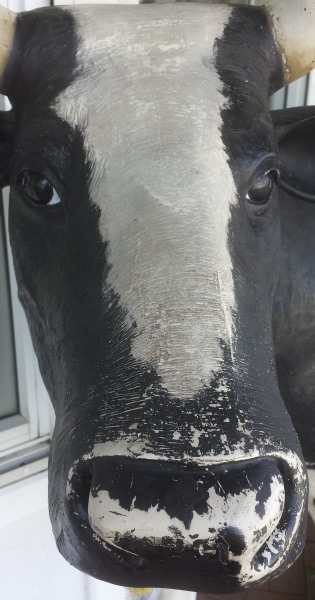 I don’t know how artists make these things so lifelike but up close with the exception of the chipped paint, you would swear this cow is real and speaking to you loudly with her eyes.. 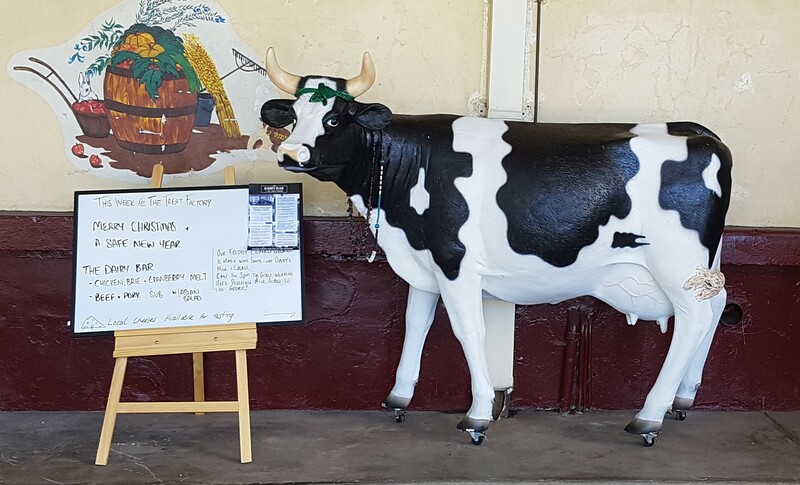 I mentioned in my paperweight post that I would be heading to Berry – and I did head over, but on that occasion the cow was GONE. Everyone I was with was in complete shock. We suspect it went for a repaint and will hopefully return soonest. 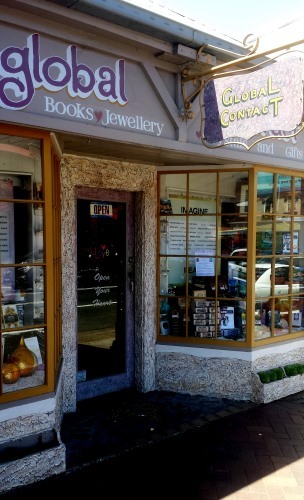 During a family visit a few years ago, we went to this little shop called Global Contact in Berry. 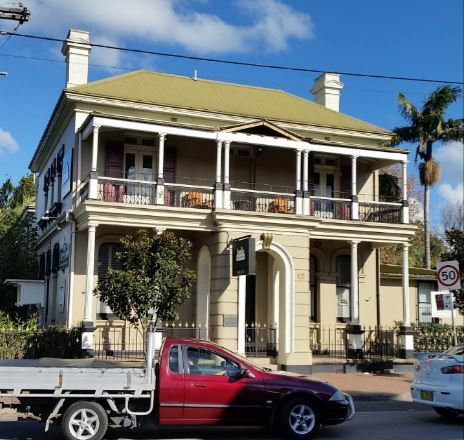 It is the kind of shop you’d recognise by the smell, which is a blend of sandalwood and patchouli and various incense scents..
Berry is this quaint little country town with a shopping strip, all different kinds of shops. 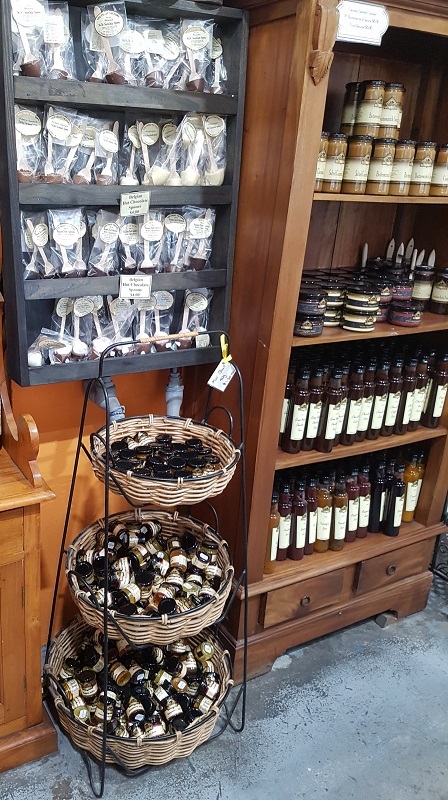 You can find everything from cuckoo clocks to sausages, from candles to teatowels, from artisan wool to artisan gelato. 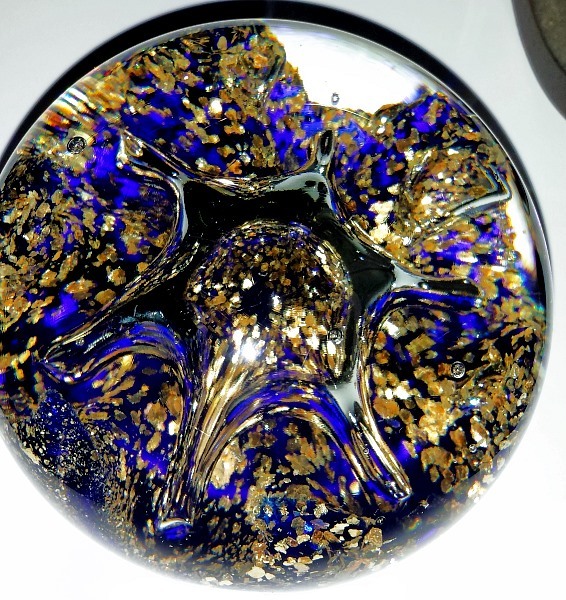 It is an absolutely delightful place to wander for an afternoon and window shop, but if you have some money to spend it is even more awesome. 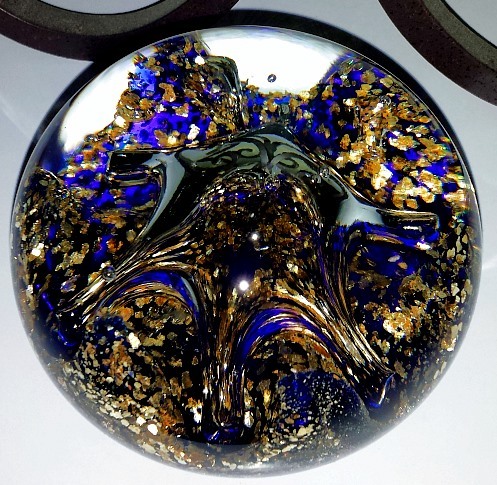 For some reason I was drawn to this paperweight. Well, if you know me well enough you’d instantly know why I was drawn to it – because this thing marries two elements I very dearly love. 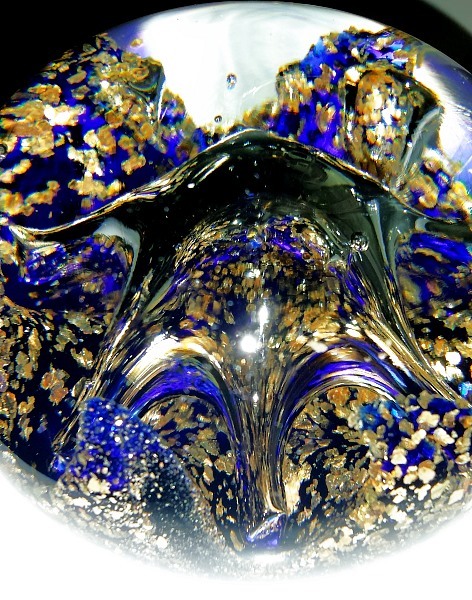 Cobalt blue, and gold. You’ll note the blue is almost exactly the shade of blue which makes up the background of this blog. It is not actually scratched. 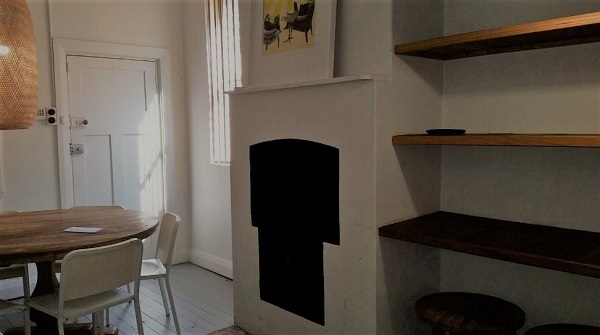 I had just cleaned it before I took these photos and I have gone back and double checked it since seeing these photos, and there are no scratches. Weird! But I do think some of the bobbles you can see here are caused by the liquid on the glass wipes I used. 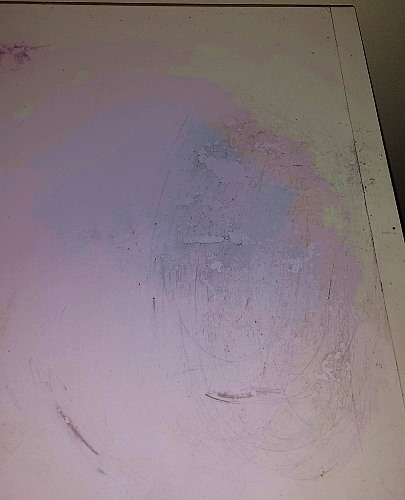 Anyway, while I was cleaning this area I noticed that the top of this cupboard is stained from the whiteboard eraser which has sometimes rested on top of this cupboard. So, I decided to re-do this area and I’ll post about that another day. The photo you see below is after a *lot* of cleaning. I’ll head over to Berry soon and take some photos and write an actual post, or even a series of them, because Berry is the perfect driving distance from Sydney for a day trip. 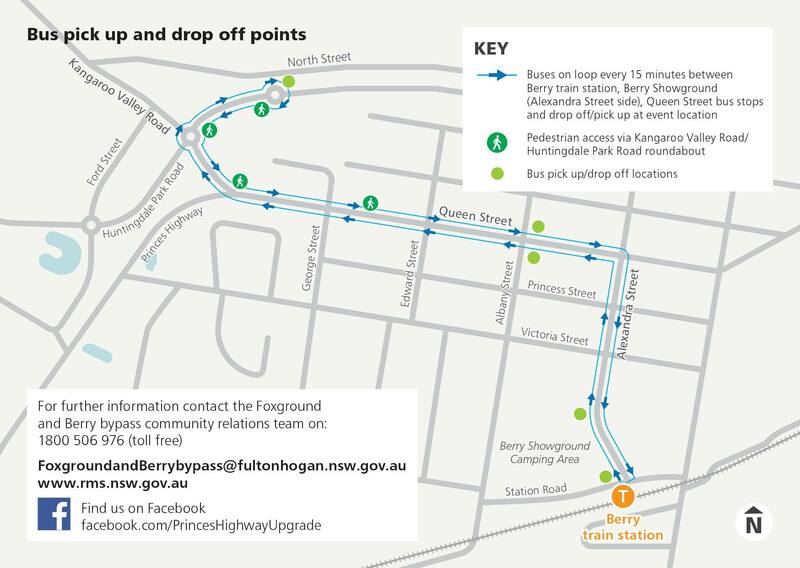 You can also catch a train there, and the main street is a very walkable distance from the train station. Bring a tote bag in case you shop up a storm, though! 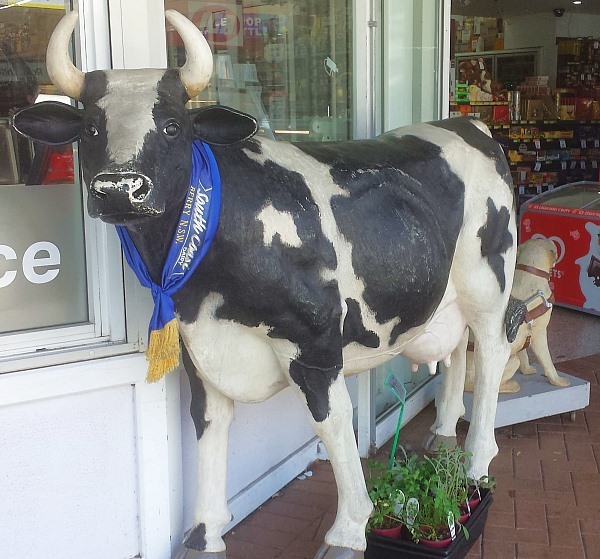 And to end this post on a weird tangent, Berry was the location for Village Vets Australia, which was a fantastic tv show on the Lifestyle Channel on Austar, and if you missed it, the episodes are sometimes on youtube for a couple of weeks, until they are taken down again.. The show was awesome for so many reasons – I learned a lot of new things about cows. They did a rumen contents transplant on a cow which was absolutely fascinating if terrifying for a germophobe. But be aware the show does contain some surgery on animals, and some very sad moments, in among the great moments of which there are also many.